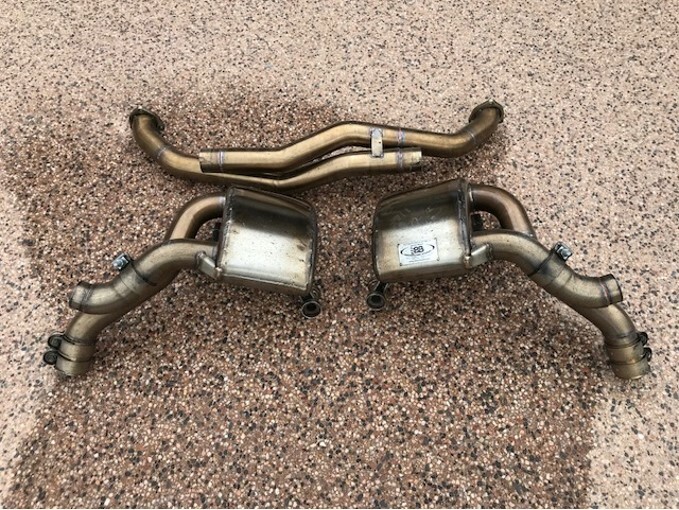 Billy Boat performance exhaust system to fit a 997.2 Carrera S. Original cost >$2,100. Best reasonable offer. Mufflers manufactured 2014, crossover manufactured 2013. System was on a car I just purchased from Scottsdale Porsche and they replaced original system so these parts are left over. Nice sound! I heard it prior to them making the change. Best reasonable offer. Located in Scottsdale.